So I wanted to have a more detailed background on this one, but as you can see, it didn't work out at all... I guess it just happens. 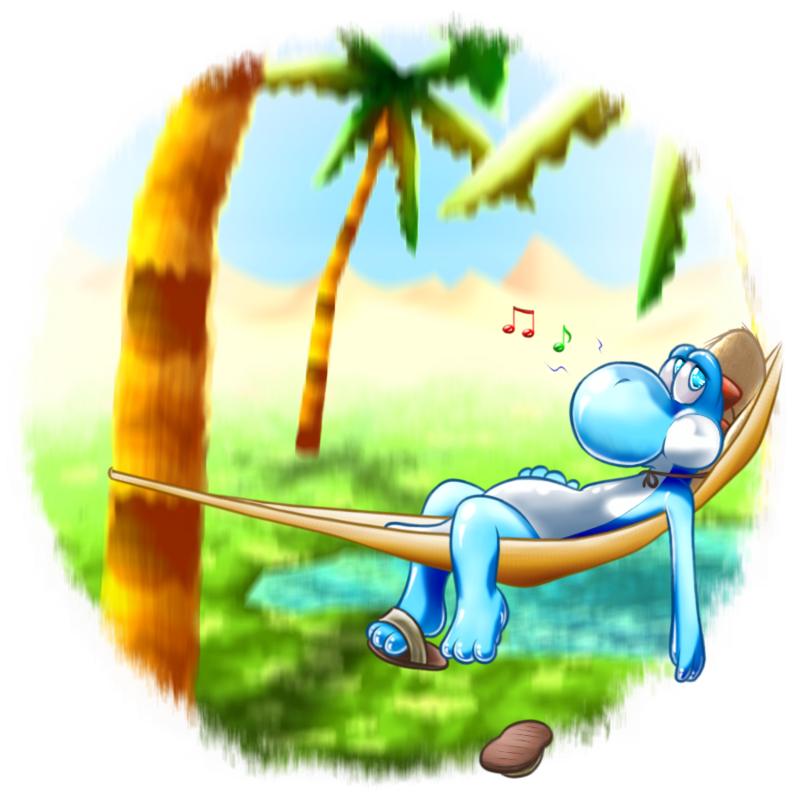 I tried to have the palm trees' foliage shadow the Yoshi, but right now, he only looks like he has different skin patterns at some places. Oh well... Better luck next time! I tried out an old eye-colouring style on this one – it's less toony, but has much more glow to it. Since I think it worked out so well, I did pretty much the same thing all over Yoshi, and it gave an... interesting result.